AB’s Naída CI Listening Check module allows an unaided listener to easily check all of the system’s input sources for each program on the processor. 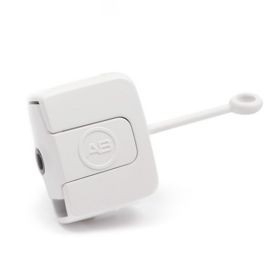 With this convenient accessory, you—or your child’s teacher, audiologist, and others—know instantly if there is an issue with a microphone and can rectify it to get you or your child back to hearing properly and enjoying all the world of sound has to offer. Additional input sources can be checked when used with the AB myPilot. The Naída CI Listening Check module is compatible with Naída CI Q70 (Naída CI) sound processors. Critical audio listening checks can also be performed with the AB myPilot accessory and Naída CI Listening Check. 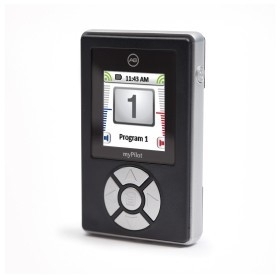 This useful remote control enables you to make one-touch changes to programs, volume, and sensitivity settings, as well as access the ZoomControl feature, which allows bilateral recipients to focus the sound to the right or left. The full-color display provides easy-to-read status information making it a convenient tool for adults on the go, busy parents, and teachers in the classroom. 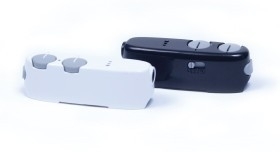 The AB myPilot accessory is compatible with Naída CI sound processors. AB's Neptune Connect is compatible with Neptune sound processors.